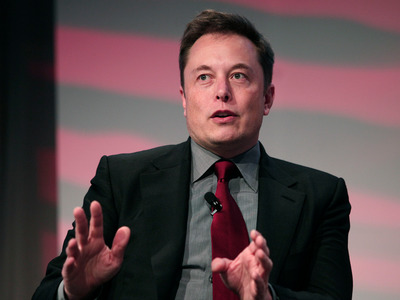 Bill Pugliano/Getty ImagesTesla CEO Elon Musk. Some Twitter users took the message as an opportunity to poke fun at Musk for controversial tweets he sent in August about potentially taking Tesla private. Musk is unusually active and candid on Twitter, compared to other prominent CEOs, and is known for using the platform to interact with customers, make jokes, and attack critics. TeslaCEO Elon Musk told his Twitter followers on Thursday to “Send me ur dankest memes! !” Some Twitter users took the message as an opportunity to poke fun at Musk for controversial tweets he sent in August about potentially taking Tesla private. One replied to Musk with an image of Musk’s face against a dark background made to look like a Nike advertisement. “Funding secured. Even if you didn’t secure funding. Just do it,” the image read. “Funding secured,” the image read. Musk is unusually active and candid on Twitter, compared to other prominent CEOs, and is known for using the platform to interact with customers, make jokes, and attack critics. Musk’s candor has endeared him to the fans and customers who find him more relatable than other famous executives, while also frustrating some analysts and investors who argue that he is temperamental and reckless. On August 7, Musk said on Twitter that he had “funding secured” to convert Tesla into a private company at $US420 per share and only needed a shareholder vote to confirm a go-private deal. Musk’s statements attracted controversy and raised questions about the certainty of the funding he referenced and where exactly that funding would come from. On August 24, Musk said Tesla would remain a public company. The Securities and Exchange Commission (SEC)filed a lawsuit against Musk in September, alleging that Musk had made “false and misleading statements” about the possibility of taking the automaker private. The government agency alleged that Musk had not acquired the necessary funding for a go-private deal or even discussed the terms he mentioned with any potential backers. Those terms included the proposed $US420 share price and an option for all existing Tesla shareholders to remain with the company after it went private. The SEC later reached a settlement with Musk that requires him to step down as the chairman of Tesla’s board of directors for three years and pay a $US20 million fine.